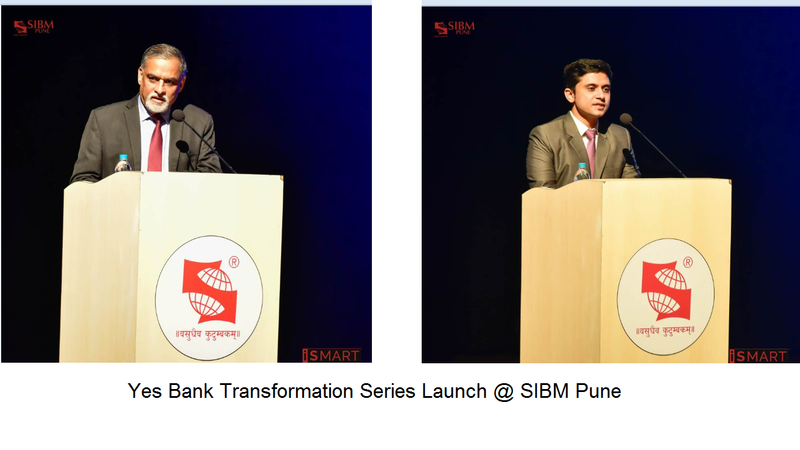 SIBM Pune hosted Mr.Deodutta Kurane, Group President-Human Capital Management, Mr. Deepak Bisht, Manager- Corporate Marketing and Ms Priyanka Chakraborty, Manager, YES BANK for the launch of the 7th edition of the Transformation Series case study challenge. Mr Kurane spoke about YES BANK’s belief in the philosophy of Human Capital and the promotion of ethos of professional entrepreneurship. He also advised the students to keep a check on their PULSE i.e. P- Passion and Perseverance; U- Uniqueness; L- Leadership; S- Social skills and E- Energy and Enthusiasm. Yes Bank Transformation Series Launch 0 out of 5 based on 0 ratings. 0 user reviews.